Standing on the steps of the U.S. Supreme Court, Texas Attorney General Ken Paxton announced Thursday morning that his office launched a lawsuit against Delaware over millions of dollars he argued are owed to Texas and 20 other states. 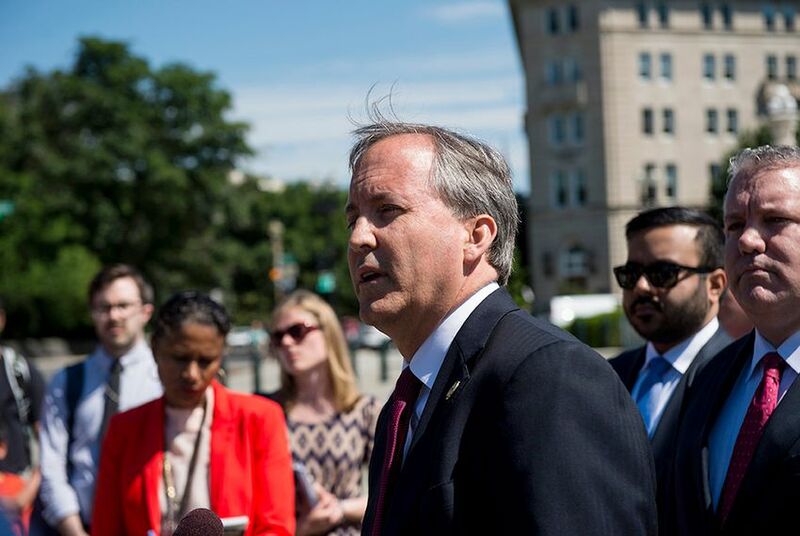 WASHINGTON — Standing on the steps of the U.S. Supreme Court, Texas Attorney General Ken Paxton announced Thursday morning that his office is launching a lawsuit against the state of Delaware over millions of dollars he argued are owed to Texas and 20 other states. Texas is co-leading the lawsuit with the state of Arkansas, charging that Delaware unlawfully took possession of uncashed MoneyGram checks instead of the state where the money order was purchased. MoneyGram, a money transferring company, is based in Delaware. “Arkansas and Texas are co-leading this coalition of states to get our money back,” he added. “We are urging the Supreme Court to enforce federal law." In a news release, the Texas attorney general’s office said an audit showed Delaware owed the states $150 million. Of that share, Paxton was unable to give a specific figure of how much belonged to Texas but estimated it was in the tens of millions. Delaware Finance Secretary Thomas Cook suggested Texas' lawsuit is redundant. Along with Texas and Arkansas, 19 other states joined the suit: Alabama, Arizona, Colorado, Florida, Idaho, Indiana, Kansas, Kentucky, Louisiana, Michigan, Montana, Nebraska, Nevada, North Dakota, Ohio, Oklahoma, South Carolina, Utah and West Virginia. Patrick Svitek and Aneri Pattani contributed to this report.